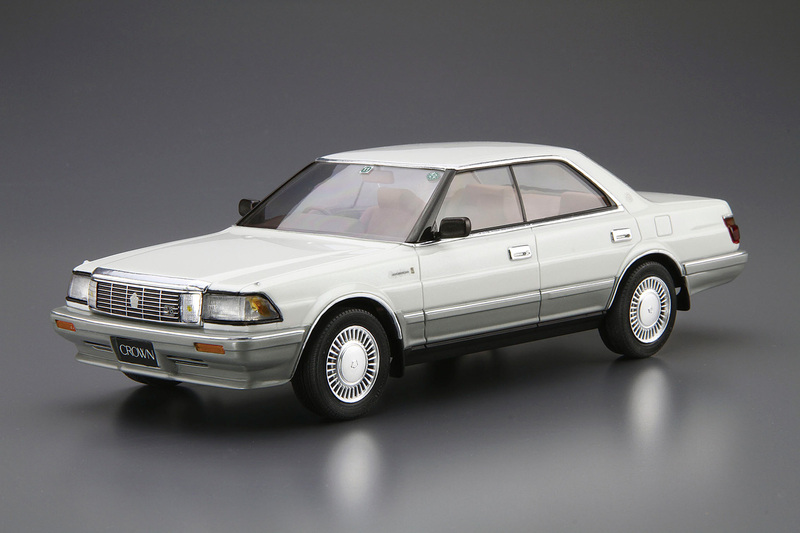 Crown, a leading Japanese luxury car, received a full model change in 1987 as the 8th generation S130 series. 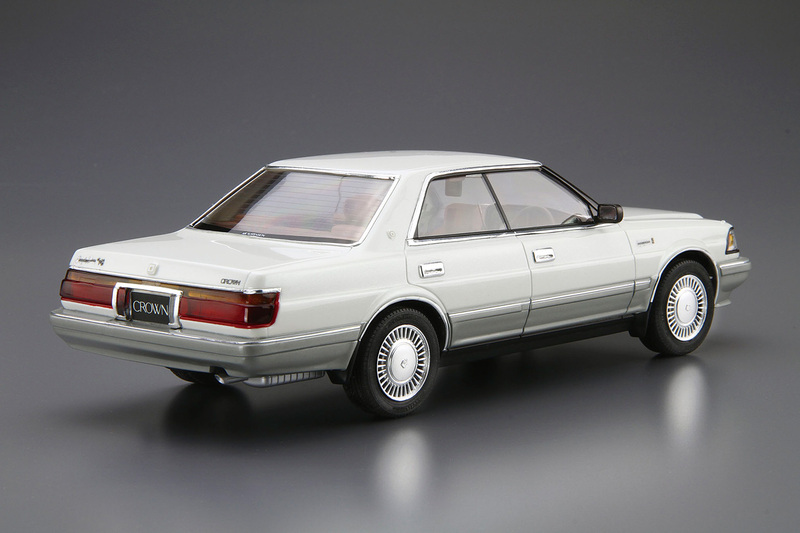 The minor change in August 1989 added “4000 Royal Saloon G V8" to the lineup. The large side protection further gave a model a luxurious, top-model look. 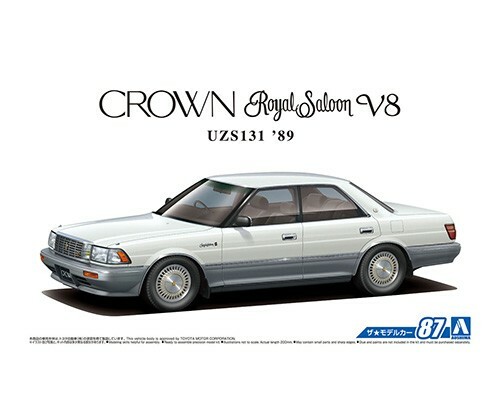 This kit replicates the UJS131 Crown in its catalog specifications. The front grille is chrome-finished, and includes boomerang antenna and low-down parts. Also with the window masking seal and aero parts included, you are able the build the Crown to your preference.